What about Linux and other FOSS market share ? What is the actual market share of Linux or Free/OpenSource softwares ? A FreeSoftware does not require a license payment. As consequence, there is no mandatory registration procedure, neither "license key" or "activation process" required. As a FreeSoftware is provided with the explicit right of copy and redistribute, there is no central point where to count the amount of copies made, neither running installation. However, it is widely known that the number of Linux running computers took over the amount of MAC years ago. Some FreeSoftwares are trying to collect use statistics. It is the case for Firefox 3, that gained the Guinness World Record for the most downloaded software in 24 hours. The Internet allows some large-scale unbiased measurements. 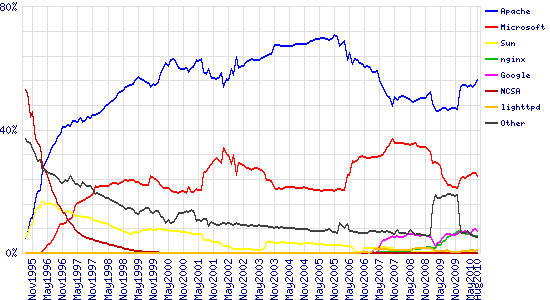 Since years, statistics about running web sites shows that the famous FreeSoftware Apache is the world-wide most used web server software continuously since 1995. The embedded applications software market (TV Set-top boxes, DVD players and recorders, MP3 players, advanced autoradios, game consoles, ...) has completely fallen into OpenSource/Linux hands. If you have a Cisco/Linksys device at home, or a Free/Alice Box, or a settop box, a Sony PlayStation II, it runs Linux or OpenSource software ! If you have a HD-TV recorder, a MP3 audio system in your car, an intelligent wash machine, a web-able TV-set, it probably runs Linux and/or OpenSource software ! Illiad, Free, Alice sous le coup d'une condamnation pour usage illégal de logiciel libre ! 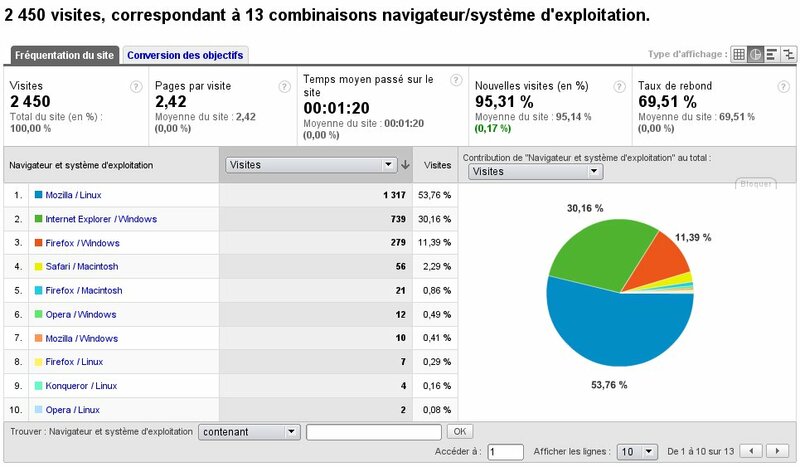 Cisco sous le coup d'une condamnation pour violation des conditions de licences de logiciel libre ! than any other operating system. Linux is hugely popular for large/professional systems and this trend is increasing ! 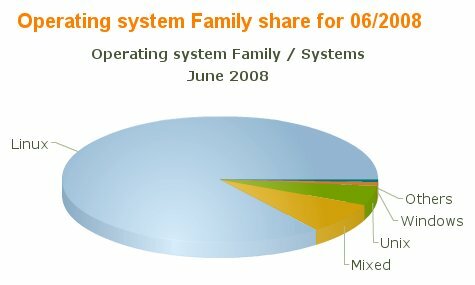 Linux represents 91% of this market as 6/2010 ! The traffic hitting some web sites gives interesting statistics about the actual percentage of Linux or other FreeSoftware operating system in the world. For web sites gathering traffic from open-minded visitors, the combination Mozilla Firefox/Linux is just already the choice of a majority of web surfers. So why don't you find GNU/Linux pre-installed computers in Luxembourg supermarket ? The problem is not limited to Luxembourg but to Europe. Even if bundled sales of an OS with a new PC has been already condemned in several EU states, some political authorities are still fighting to impose an illegal monopoly on the home PC user market. See "Dossier Vente Conjointe Forcée" for details.